Our parent education program goal is to create the opportunity for parents & related stakeholders to come together to acquire knowledge and strategies to help raise resilient, competent, successful and happy children. With that goal, we seek to address the challenges of raising children today by educating parents, teachers, administrators and interested community members on the most relevant parenting topics. To have the most impact, we strive to bring nationally recognized and revered child health experts to share their research, insights, and expertise. Our programs aim to engage all stakeholders who play a role in raising our children in meaningful discussions that we hope will continue well beyond the speaker’s visit. Technology is a tool. But…are we addicted? How do we stop? Where do we start? The goal for this film is to inspire people of all ages, especially kids, to self-regulate. As technology continues to progress, and children are exposed at even earlier ages, education and discussion are critical to understanding how it affects us and how we can manage it going forward. 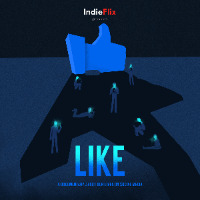 Click here to watch the trailer and to learn more. Special introduction by Superintendent Mackey Pendergrast. Panel discussion immediately following the film. Click here to register. Psychologist, speaker and faculty member of Harvard Medical School, Dr. Robert Brooks, Ph.D., is one of today’s leading parenting experts and authors on resilience, self-esteem, motivation and family relationships. Dr. Brooks will provide effective strategies for nurturing resilience, self-discipline, responsibility, and empathy, to help kids deal more effectively with the stress and pressure of today’s complicated, ever-changing world. Superintendent Mackey Pendergrast will introduce the program and join Dr. Brooks for the Q&A session. This program is brought to you in partnership with the Morristown and Morris Township Joint Municipal Alliance and the Morris Plains Municipal Alliance. Today’s achieve-at-all-costs pressure starts young… and may come with a cost. Almost 80% of students in a Making Caring Common national survey chose personal achievement and happiness as being more important than caring for others. Trisha will share the results of this research, discuss the implications and suggest strategies to help parents raise caring, empathetic and ethical children. Includes Panel Discussion: Does Character Count in College Admissions? Kicking Off the School Year with Kindness! Kindness is a universal language that transcends race, religion, ethnicity & nationality. In alliance with the district-wide Healthy Community Initiative, the Home & School Associations and the Morris Educational Foundation are partnering to bring Orly Wahba, Kindness Advocate and founder of Life Vest Inside, to the Morris School District. Orly’s mission is to empower, educate and unite the world with KINDNESS. She will discuss how being kind, respectful and compassionate can help our children lead happier, healthier and more successful lives. 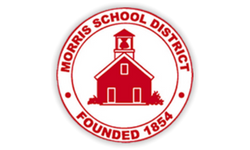 This program is funded in part by the Joint Municipal Alliance of Morristown and Morris Township and the Morris Plains Municipal Alliance. 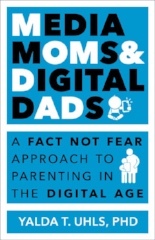 The Morris Educational Foundation in partnership with The Morris School District presents the first Parent Ed Book Club. Please join us in person and online as we collaborate to discuss, exchange ideas and explore ways to give our kids the “Empathy Advantage.” Facilitated by Erica Hartman, Supervisor of Technology Integration, MSD. The MSD Digital Information Department recommends the following resources for families: MSD Digital Information Department, Common Sense Media, Google Family Safety Center, Family Online Safety Institute. Join us as Dr. Maurice Elias discusses the strong role that emotions play in a child’s psychological development. 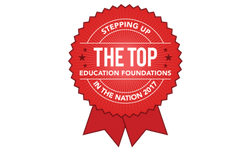 Dr. Elias, Director of the Social-Emotional Learning Lab at Rutgers University, is a recognized authority on social-emotional learning and its impact on a child’s success in school and life. His publications number in the hundreds and his blog on Edutopia is read worldwide. Featuring Erica Hartman – Director of Technology Integration, MSD and John Berkowitz – LCSW, Family Healing Center, Livingston. 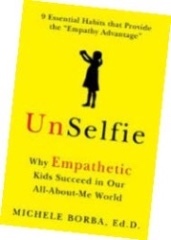 Research shows that today’s teens are 40% less empathetic than those of 30 years ago. Join our guest speakers as we discuss the importance of teaching and nurturing empathy in today’s digitally saturated culture. Click here for Erica Hartman's presentation. Click here for John Berkowitz's presentation. Modern day youth sports has evolved into an ultra-competitive, adult-centered enterprise that is failing our children. 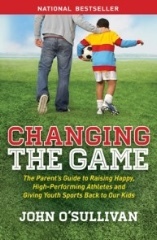 With the latest science and research, John O’Sullivan provides parents and coaches actionable steps to help kids develop character and a positive mindset while creating an environment that teaches positive core values and life skills, instead of focusing on wins and losses, scholarships and professional aspirations. Guest Panelists: Smitty Horton, Athletic Director, Morristown High School, Damion A. Martins, MD, Director of Orthopedics & Sports Medicine, Atlantic Health System. For more information visit changingthegameproject.com. Ms. Lahey outlines a plan for how parents and teachers can encourage autonomy, while still offering support, to help children grow into independent, resilient and confident adults. 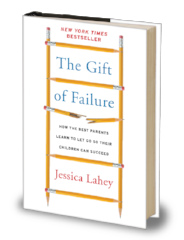 “We have taught our kids to fear failure, and in doing so, we have blocked the surest and clearest path to their success.” ~Jessica Lahey. Ms. Lahey will also host a Coffee with the Author the morning of the event and moderate a Q&A discussion between the parent community and guest panelists after the lecture: Mr. Joseph Uglialoro, Principal, Frelinghuysen Middle School, Morris School District, Dr. Walter Rosenfeld, Chair of Pediatrics, Goryeb Children’s Hospital, Morristown Medical Center, Ms. Kristen Rudiger, School Psychologist, Morris School District. For more information about Jessica Lahey, please visit jessicalahey.com. Child Psychologist, research expert on media & children, and author, Dr. Yalda Uhls, enlightened us with her research on how digital media impacts the emotional, social & academic well-being of children at home and in school. She shared solutions on how to help children safely and productively navigate the digital world. She also moderated a Q&A discussion between the parent community and guest panelists: Erica Hartman, Supervisor of Technology Integration, Morris School District, Dr. Michael Giuliano and Child & Adolescent Psychiatrist, Morristown Medical Center. For more information about Dr. Uhls, please visit www.yaldatuhls.com. 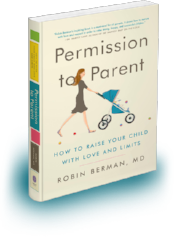 Psychiatrist, parenting expert and author, Dr. Robin Berman explained how to get comfortable setting limits while maintaining a loving connection with your children. 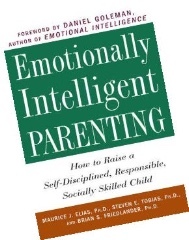 She highlighted steps parents can take to raise resilient and successful children by fostering self-esteem, respect, and emotional intelligence. Book Club Discussion with Dr. Robin Berman on Thursday, January 22, 2015, where Dr. Berman returned to further explore the issues raised in the book and answer questions. Discussion was moderated by Suzanne Olimpio, Director of Pupil Services, MSD. For more information about Dr. Berman, please visit www.permissiontoparent.net. 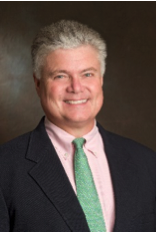 Child Psychiatrist, NY Times bestselling author and parenting expert, Dr. Edward Hallowell, discussed how raising children with healthy self-esteem, moral awareness and strong values can greatly increase a child’s chances of succeeding in school and leading a meaningful life. 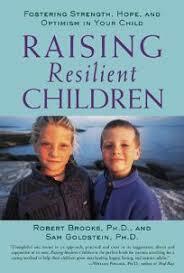 He outlined ways parents can promote successful learning and lifelong happiness in their children. For more information about Dr. Hallowell, please visit www.drhallowell.com. Psychologist, speaker and faculty member of Harvard Medical School, Dr. Robert Brooks, Ph.D., is one of today’s leading parenting experts and authors on resilience, self-esteem, motivation and family relationships. Dr. Brooks will provide effective strategies for nurturing resilience, self-discipline, responsibility, and empathy, to help kids deal more effectively with the stress and pressure of today’s complicated, ever-changing world. Superintendent Mackey Pendergrast will introduce the program and join Dr. Brooks for the Q&A session. This program is brought to you in partnership with the Morristown and Morris Township Joint Municipal Alliance and the Morris Plains Municipal Alliance. RSVP requested by registering here.